STEM creates a learning environment in which students are guided to produce original ideas, objects, and structures according to certain specifications. In the process they explore the fields of Science, Technology, Engineering and Math. In this 30 week, 1 ½ hour class, the mission will be to grow students’ capacity for creativity, fun and back-loaded learning in a STEM context. Creativity is not only a valuable academic tool but also a life skill that can serve students throughout their lives. Like all skills, creativity can be developed with practice. We will emphasize innovative, original solutions and products. A typical STEM class presents students with a problem or challenge that has many potential solutions, none of which are obviously superior to others. Students contemplate, design, build and later explain a solution that complies with the specifications. For example, students will discover the principles of flight by designing their own kites with common materials, or they will ponder Newton’s laws and the concept of force as they design and create their own building to examine how forces act on that building during an earthquake. There will be multiple right answers and failure will be reframed as a necessary part of learning. We will focus on real-world problems and solutions. At this level the course becomes more rigorous and challenging. Projects can take multiple classes in order to develop, complete and test the solutions to a challenge. 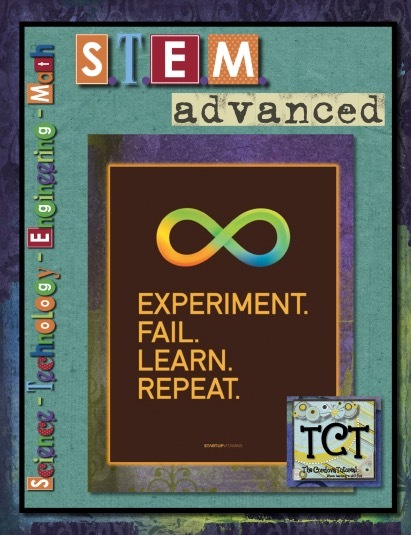 Students will be required to keep a STEM notebook, and follow the Scientific Method for solving problems. They will also be responsible for evaluating themselves, their team and their project. Planning and research for some of the projects will be done independently. It is important to note that students may attend STEM in addition to their regular science and math courses.